Who is ready for summer?! If you’re like us, summer fun usually involves water play! Here in the hot Arizona desert, we spend a lot of time around the pool (though we love traveling to the beach whenever we can as well)! 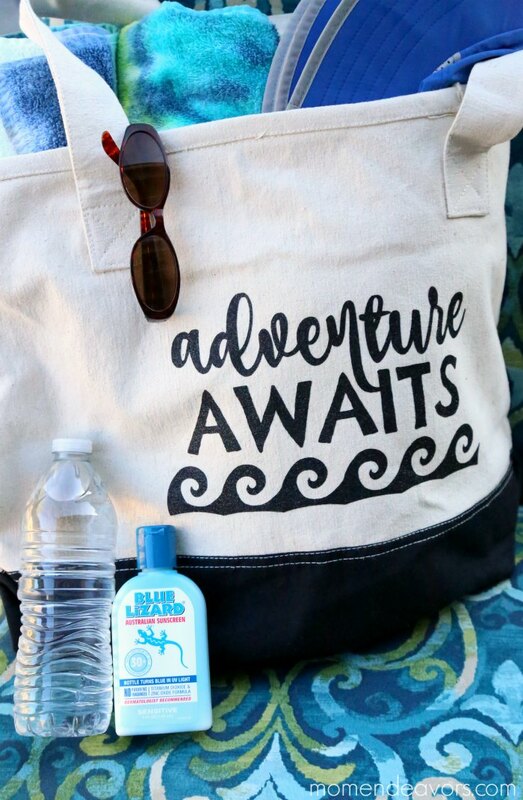 So I always have a bag ready during the summer months, stocked with things we need for a day of adventure out in the sun – sunglasses, beach towels, hats, hand wipes, bottles of water, and sunscreen (I especially like Blue Lizard® Australian Sunscreen). For this year’s summer fun, I decided to create a little DIY “beach bag” to hold all of our summer must-haves! Didn’t it turn out cute?! I’m super happy with how it came out (and I have the file, plus a tutorial to share with you below)!!! 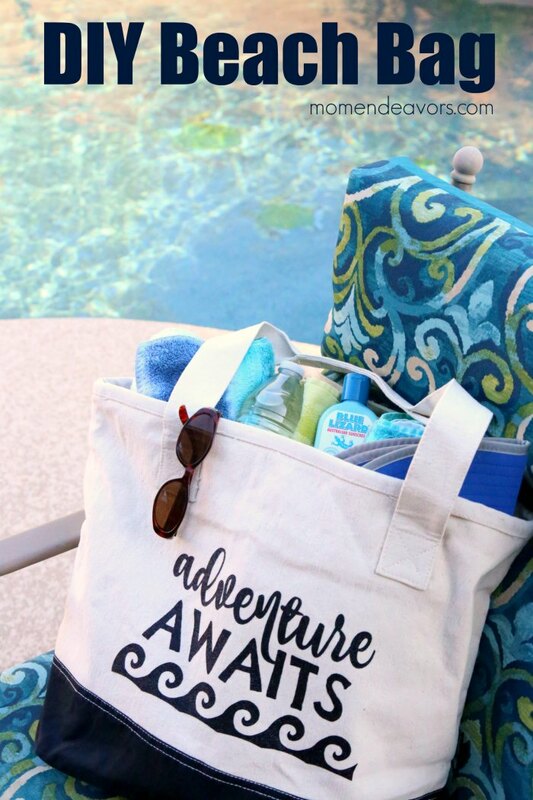 It really is so handy for holding all of our summer must-haves and I love the “adventure awaits” saying with the waves! One of our big, upcoming summer adventures includes a trip to Hawaii! 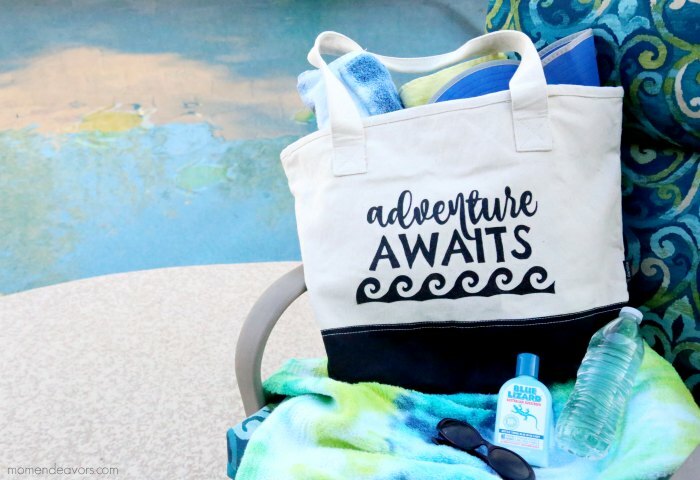 So, this bag is perfect for our beach days there! We’re excited that it’s a sort of a family reunion trip, as we’ll be meeting up with my brother-in-law from Australia. 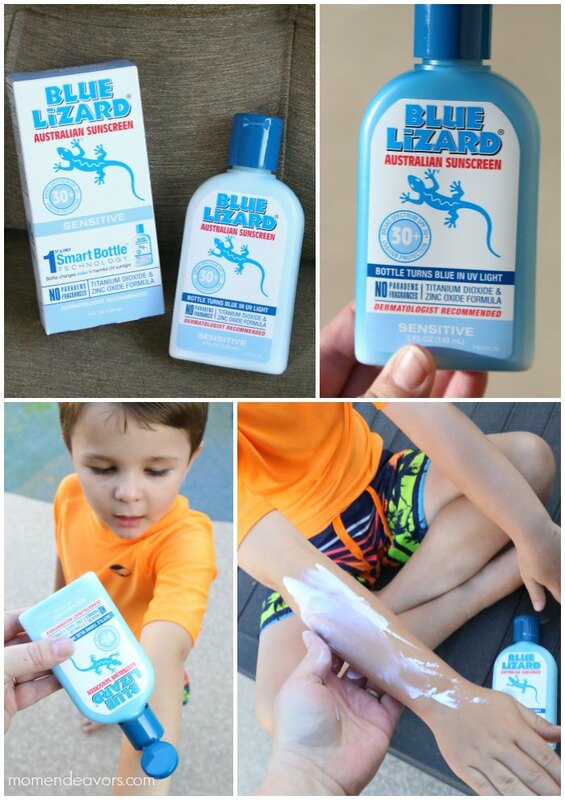 We’ll be ready for all of our summer fun with our Aussie family with our Blue Lizard® Australian Sunscreen! 🙂 Sunscreen is an absolute MUST for us and as a mom, I really like Blue Lizard®! Originally created in Australia (where sunscreen standards are the strictest in the world), Blue Lizard® products have a unique zinc oxide formulation and have been recommended for over 15 years! One extra cool feature is the Patented Smart Bottle™ technology – where the bottle changes color when exposed to harmful UV sunlight! Talk about a great visual reminder to put sunscreen on! Isn’t it great?! You definitely want to make sure you’ve got your sunscreen with you, along with all your other “must-haves”, no matter where you’re heading this summer! 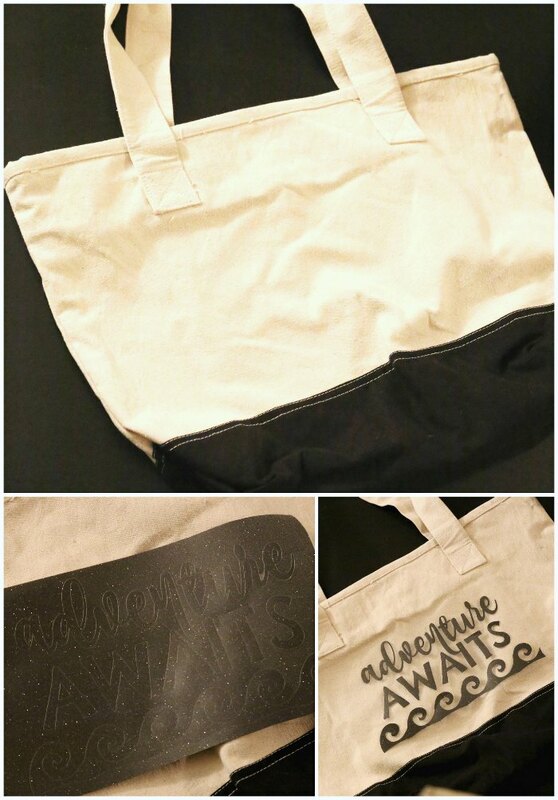 So, let’s get to making the cute “adventure awaits” beach bag! With an electronic cutting machine, it’s SO easy!!! And again, I happen to LOVE the way it turned out! *Note – if you don’t have an electronic cutting machine, you could attempt print & cut the file to use as a sort of cutting stencil & attempt to hand cut it out. Or, you could use freezer paper as a stencil. 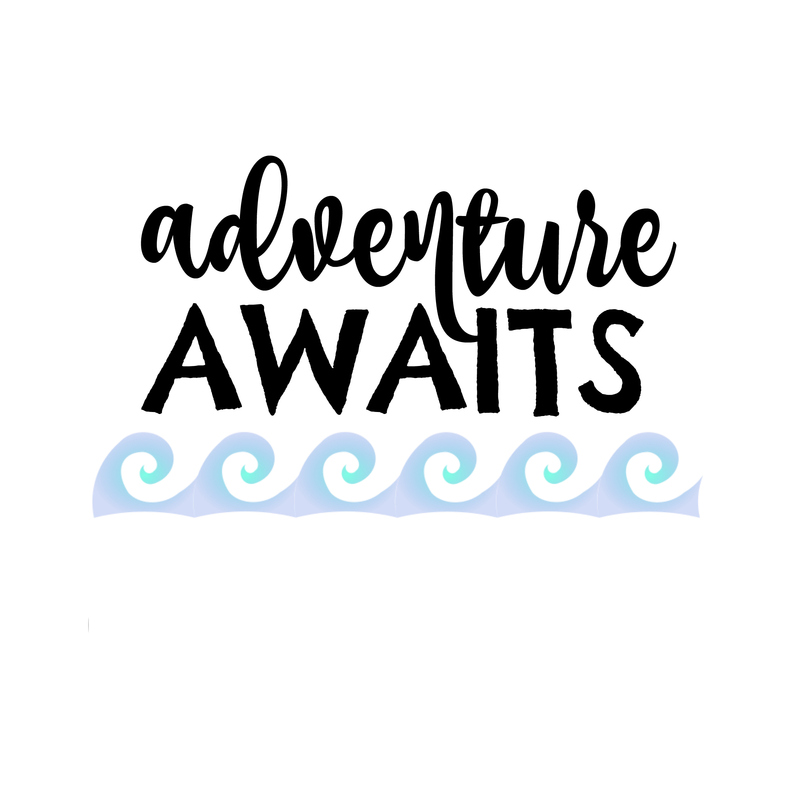 Once you download the file above, import that design into your electronic cutting system and cut out on the heat transfer vinyl sheet of your choice! Then, weed the vinyl so just the design remains. Place the design on your canvas tote bag where you’d like it. 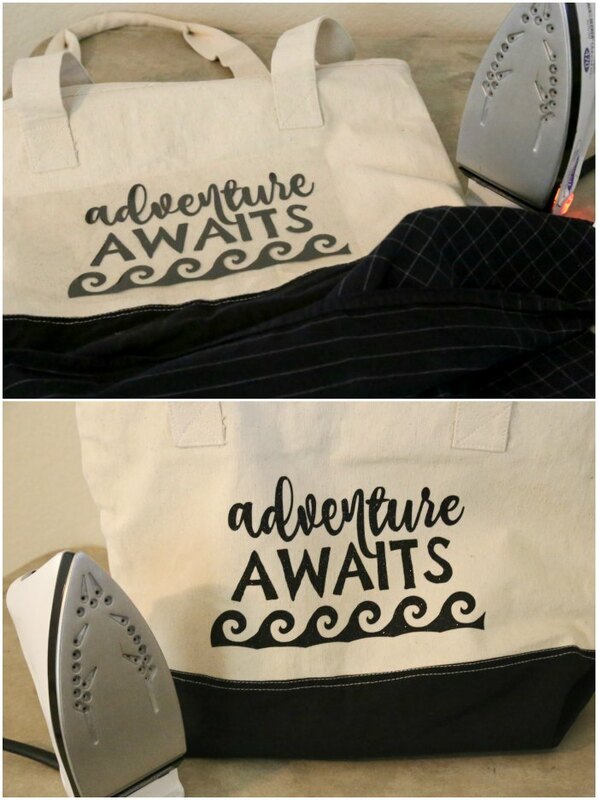 Then, cover the design with a thin heat sheet or thin towel, then press with heat (using your iron or heat press). Then, voila – a cute summer travel bag! So easy! Then once you have your bag done, make sure you have your summer essentials for stocking your bag! 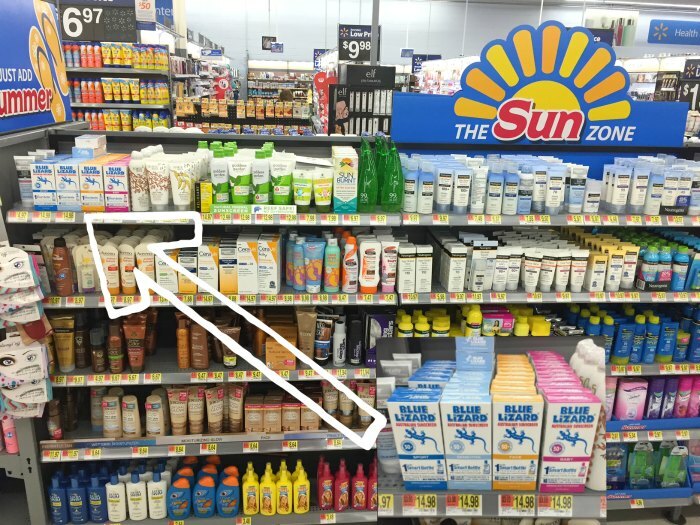 You can find everything you need, including your Blue Lizard® Sunscreen at Walmart! And before you go, be sure to join iBotta and earn $4.00 when you purchase Blue Lizard® Australian Sunscreen Sensitive, 5 oz. bottle only. I cannot believe you didnt get any comments on this absolutely fab beach bag!!!! LOVE IT!!. Thank you so much for the file.